Andrew is a Partner and Lead Consultant in Meridian’s Toronto office. He previously worked for several years in Meridian’s Boston office. 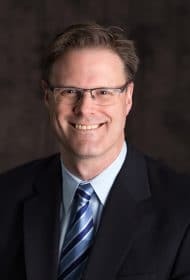 He has nearly 15 years of experience with executive compensation issues in Canada and the U.S. alike, and has clients on both sides of the border. Andrew consults on the full range of executive compensation matters, including compensation philosophy and strategy, short- and long-term incentive program design, other program design and related governance, firm financial performance analyses (including performance measure selection, goal setting, and pay/performance alignment studies), and executive and outside director compensation benchmarking. Within Meridian, Andrew is a firm-wide resource for performance measurement and incentive plan design issues. He co-leads Meridian’s performance measurement team and is a member of Meridian’s valuation team. Andrew works with a full range of public and private companies, from pre-IPO to large-cap TSX 60 constituents. His clients include companies in such industries as business services, financial services, information technology and telecommunications, energy, and mining. Prior to joining Meridian, Andrew worked for several years in Silicon Valley as a consultant and project manager. Earlier in his career, Andrew did business development and corporate finance work in the energy industry.